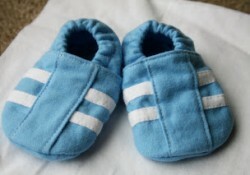 Finally made some adorable Baby Shoes for my little one. 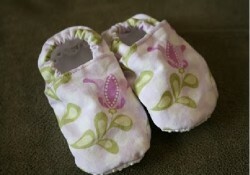 I made these to match the Easter dress I am making for her and her sister. They are going to be so cute!! 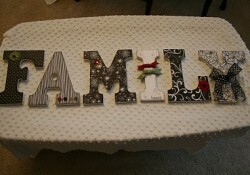 You can find this grippy fabric at the fabric store.. JoAnn’s has it by the big bolts of felt. 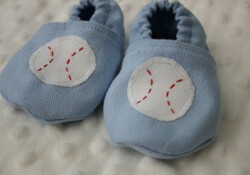 I have made tons of these shoes and this is by far the best pattern!! Go HERE to get it. To view more please visit my blog! 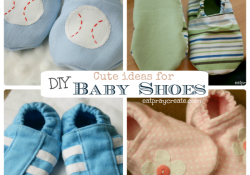 The latest baby shoes…. I fused the flower on and then hand stitched around the edge, then added the button. I put embellishments on at the very beginning before anything is sewn together. 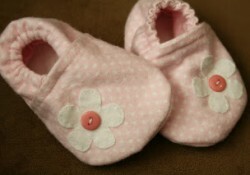 Just remember if you are using buttons make sure you don’t leave baby alone with shoes on, if baby is able to grab well, because they may be able to pull the button off over time. To view more please visit my blog! 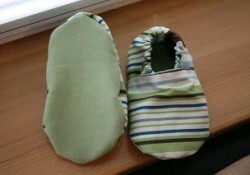 I made another pair of baby boy shoes last weekend for a friend. I love how they turned out! To view more please visit my blog! 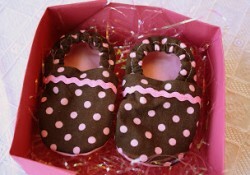 I helped put on a triple baby shower (3 gals all having girls) and here are the shoes I made for their little ones! To view more please visit my blog!